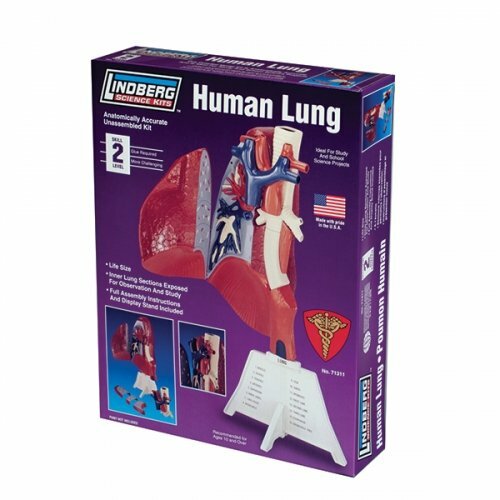 Allow students to build a demonstration model of a human lung and learn the basic concepts of respiratory physiology. 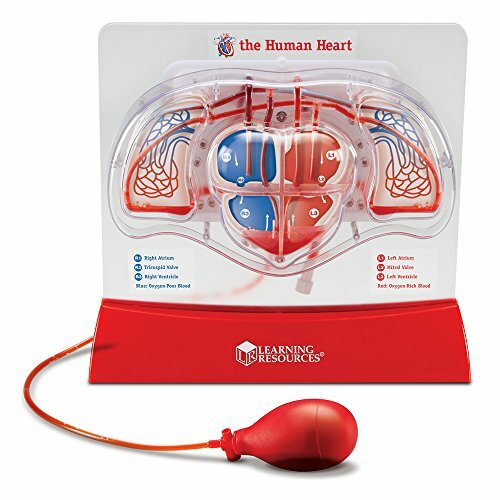 The kit includes a transparent plastic container, y-tube "trachea", balloon "lungs", rugged rubber sheet "diaphragm" and the necessary hardware and instruction sheet. 6-3/4" x 5" x 5" Size. 0.5lbs Weight. 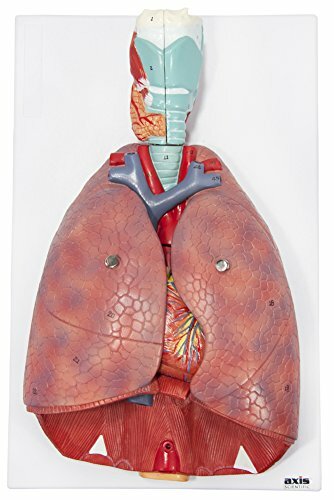 This life-sized, anatomically correct model kit includes exposed inner lung sections for observation, as well as full assembly instructions with display stand. 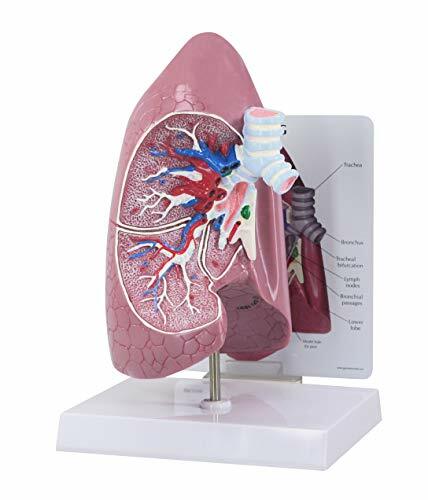 The Human Lung- LFA #3100: Full size normal cut-away of right side of Lung shows bronchus, arteries, vein, two lymph nodes, bronchial passages and trachea bifurcation. Model size: 4-1/4" x 5-1/2" x 8-1/4" Card size: 6-1/2" x 5-1/4" Brand new. In original factory packaging. Made of a durable, plastic material accurately designed and colored to represent the major structures and, in certain instances, lesions or other abnormalities as described above. 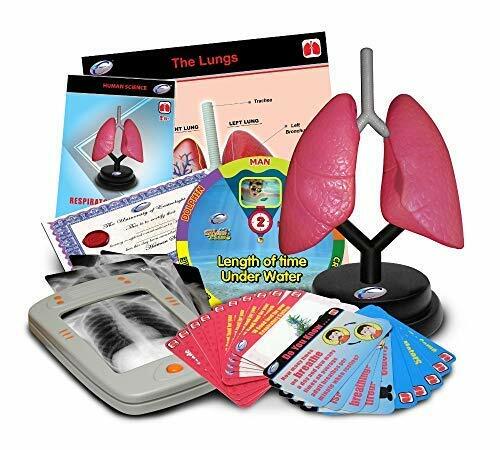 Includes sturdy and attractive display stand and detailed instructional card. . 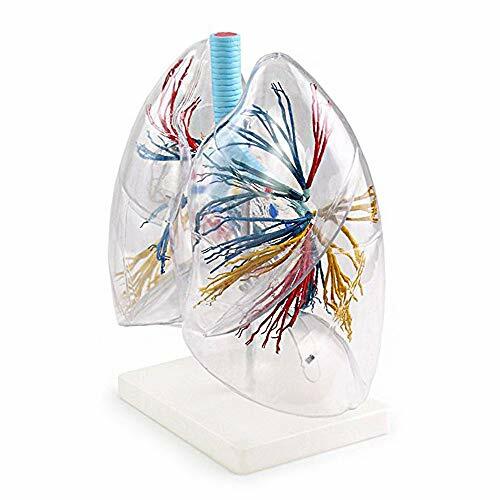 Ideal for clinical display and consumer education We also have available the Lung, Human Artery Model, Complete Hypertension Set System, the exclusive Angiogram Sam and Venous Sam for Cardiac Catheterization Training, and other central and peripheral cardiovascular models. 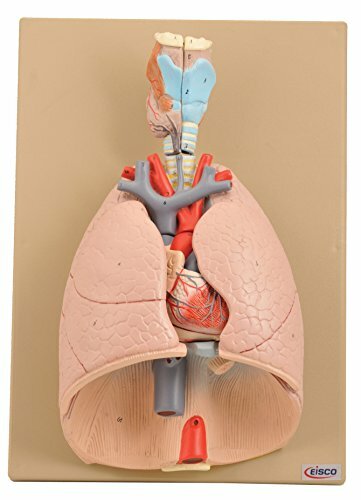 This life size human respiratory model is mounted on a 11.5"x 16.5"baseboard and is composed of the following 7 parts: 2-part larynx, dissected along the sagittal plane; Trachea with bronchial tree; 2-part lung (dissected along the frontal plane); 2-part heart; subclavian artery and vein; vena cava, aorta, pulmonary artery, esophagus; Base Diaphragm Dimensions: 10"x 15"x 4.5"(25 x 38 x 11cm). Tedco - where imagination has no boundaries! For over 70 years the Indiana-based Chandler Co., produced and sold millions of gyroscopes. In 1982 TEDCO, Inc. purchased the Company and has since vastly increased toy lines with global sales. TEDCO (Teetor Engineering Development Co) was first established as a research & development company by the late Ralph Teetor (a well-known and highly respected inventor) as a vehicle to foster his inventions. His most renowned accomplishment is cruise control for cars. Mr. Teetor was blinded at an early age, but his lack of sight never hindered his creative genius. He was president of the former Perfect Circle Corp and was inducted posthumously into the Automotive Hall of Fame. Today, TEDCO is owned by Mr. Teetor's daughter and family along with some TEDCO employees. TEDCO now manufactures scientific and educational toys like the TEDCO Gyroscope. 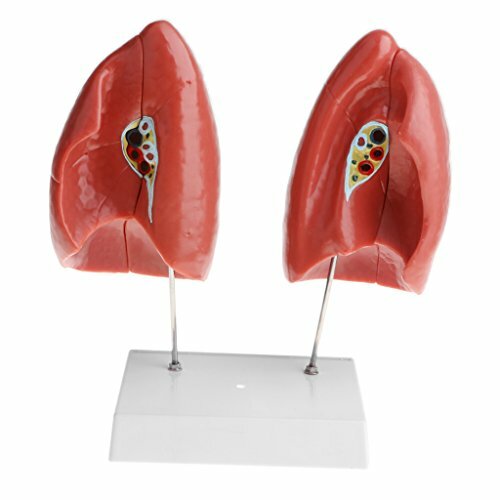 EISCO Advanced Heart and Lung Model, 7 Parts(1) Model, (1) KeycardThis hand painted, advance heart and lung model has the following removable parts: larynx (2 parts), heart (2 parts), and lobes of the lung (2 parts). Additionally, it shows: wind pipe with bronchial tree, subclavian artery and vein, venacava, aorta, pulmonary artery, esophagus, and diaphragm. Comes numbered on based. 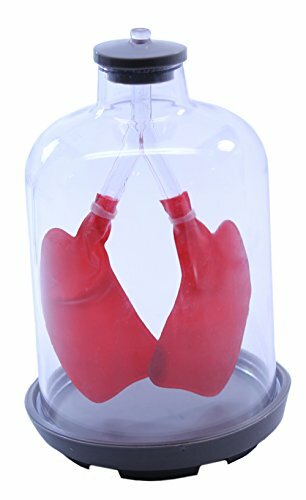 This apparatus consists of a bell jar which represents the thoracic cavity; a rubber dam representing the diaphragm; a Y-shaped tube representing the trachea and bronchial tubes; connected to the bronchial tubes are two lung shaped inflatables. On working the rubber dam (diaphragm) the lungs inflate and deflate. Sturdy; light weight plastic; and rubber construction. 7 inch (180mm) tall x 4.5 inch (110mm) diameter. 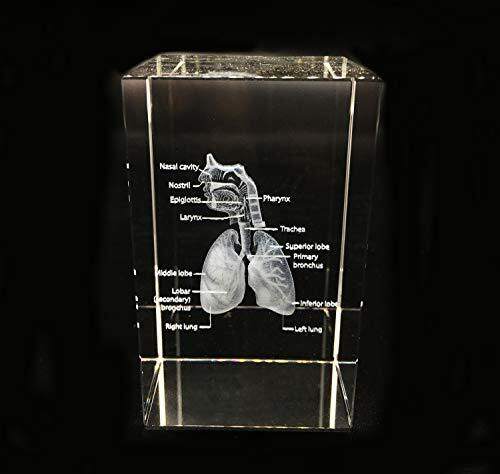 Students get a shocking picture of smoking-related lung damage with this interactive display. 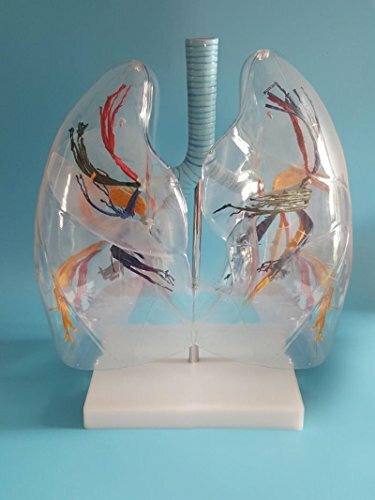 Lou-Wheeze has two flexible latex lung models. One representing a healthy lung, the other showing the damage done by emphysema and cancer. 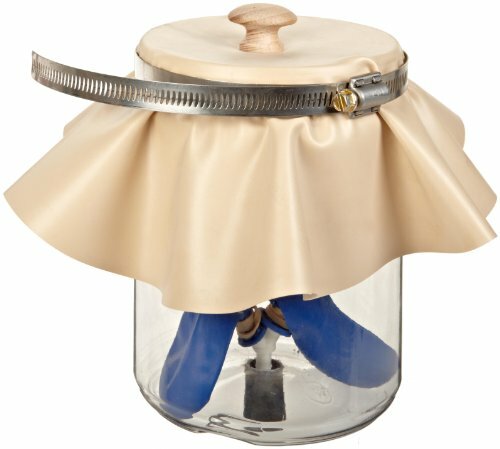 Comes with bellows pump and instructions. Measures 17" length by 23" height. 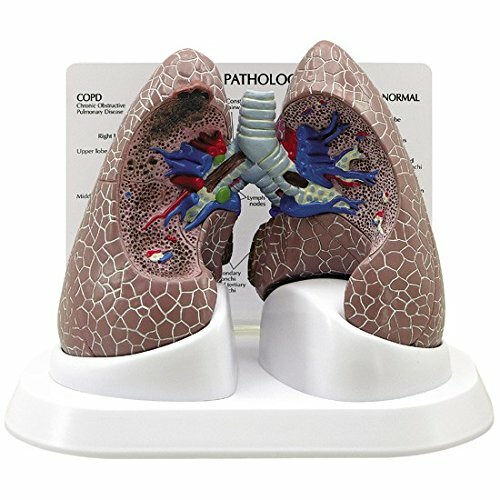 COPD Lung Set with Pathologies Full -sized 2-sided model of two separate lungs with 4 cutaway sections illustrating normal anatomy and the effects of COPD (Chronic Obstructive Pulmonary Disease), Cancer and asthma. 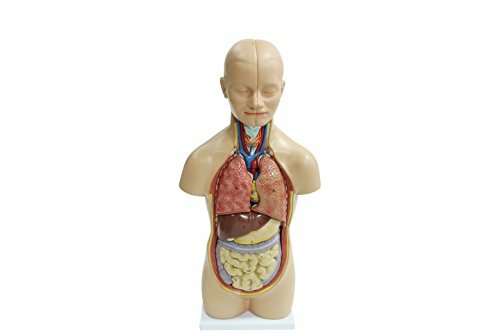 Ideal for clinical display and consumer education Model Size: Each 4 1/4" x 5 1/2"
Description Item:anatomy model Material:PVC Size:App 28cm/11inch Parts:15parts. torso, brain(2Parts),heart, esophagus trachea and aorta, lung (4 parts), skull cap, stomach, diaphragm, liver, pancreas and spleen, intestine. 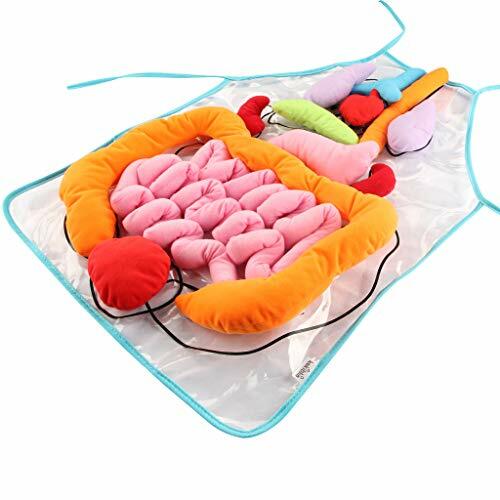 Features: 1.The model by torso, brain(2Parts),heart, esophagus trachea and aorta, lung (4 parts), skull cap, stomach, diaphragm, liver, pancreas and spleen, intestine.a total of 15 indication area. 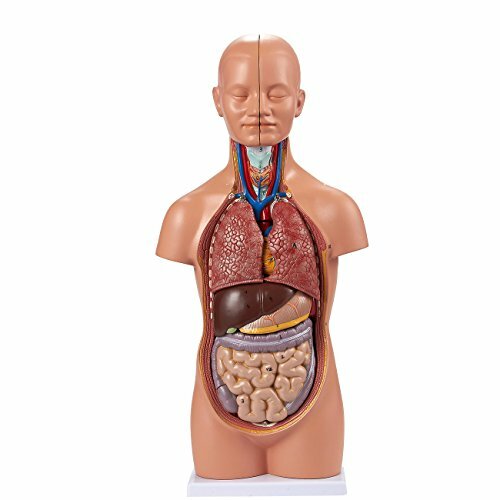 2.Applicable to schools,hospital, in physical health teaching, can be used as a teaching of physical health knowledge of the visual aids, so as to deepen the understanding of the structure of the human organ 3.It is ideally suited to a classroom or surgery, the size of the model means you can view it from a reasonable distance and all the significant details can easily be identified. Note: 1.The real color of the item may be slightly different from the pictures shown on website caused by many factors such as brightness of your monitor and light brightness. 2.Please allow slight deviation for the measurement data. 3.Please allow 1cm-2cm error due to the hand measurement . 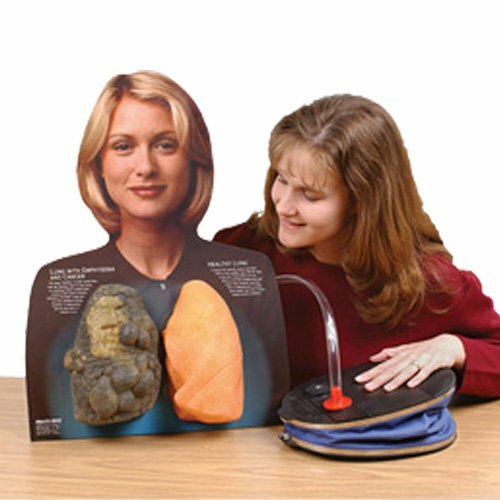 Introducing the new respiratory system model from Axis Scientific. This model is 3/4 life-size, and dissects into 7 parts. The left and right lung both dissect in half, the larynx is removable and also dissects in half, and also has a removable 2-part heart. It shows 51 numbered anatomical features and is paired with a corresponding product manual. Comes mounted on a white base.Made by Axis Scientific and backed by a 3 year warranty. 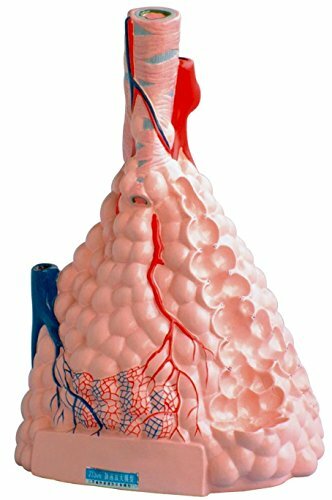 Study the human body and the interaction between the organs with this human torso model. 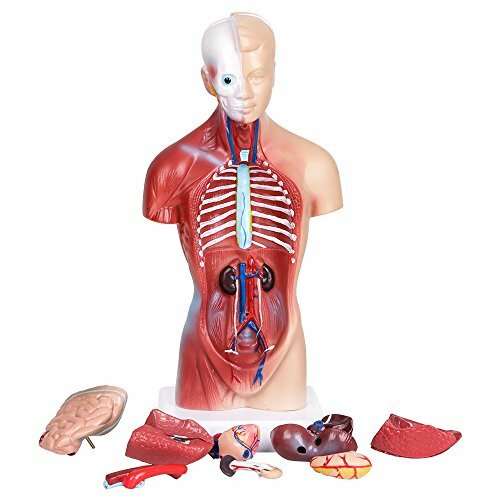 Ideal for biology and anatomy classes and students of all ages, this anatomically correct model is great for teaching anatomy to children and adults of all ages. At 19.7 inches in height, this model is perfect for either placing on table tops or on the ground. 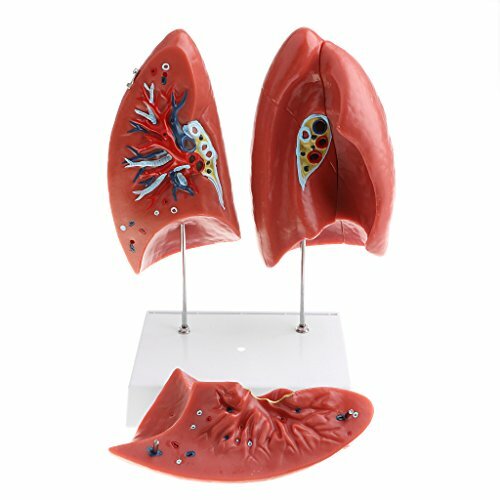 Description: - Minify 1x Human Lung Normal & Pathological Comparison Model Kits for School Teaching Display - Clearly shows the lung respiratory system diseases pathology features - Great for school teaching tool - smoking is hazardous to health, also will be a great addition to your lab supplies - Material: PVC Material - Color: As pictures shownSize Chart:Normal Lung: Approx 6 x 9cm/2.36 x 3.54inchPathological Lung: Approx 9 x 9cm/3.54 x 3.54inchPackage Includes:1 Human Lung Normal & Pathological Comparison Model SetWe have many years of experience in selling merchandise online, we are focus on providing best product and service to customers. 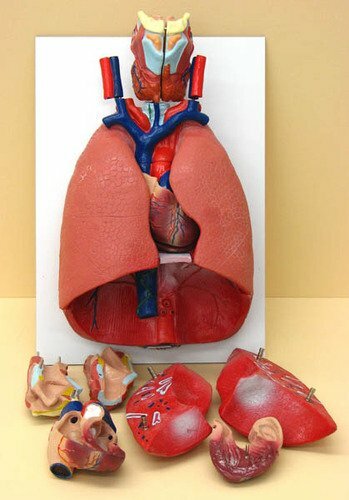 Human Lung and Heart Model. A 7 part model. The lungs are detachable showing the interior structure of lungs; diaphragm; removable two part heart; two part larynx is removable. Mounted on wooden board. 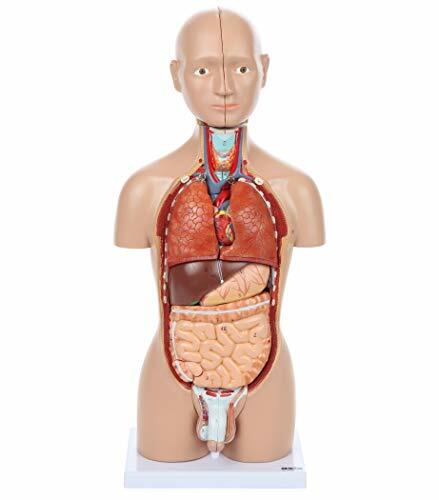 Dimensions: 15 Inch (380mm)L x 8 Inch (200mm)W x 4.5 Inch (120mm)H.
The American Educational human torso model is for anatomical study, and depicts the respiratory, circulatory, digestive, nervous, urinary, and musculature systems for detailed examination. 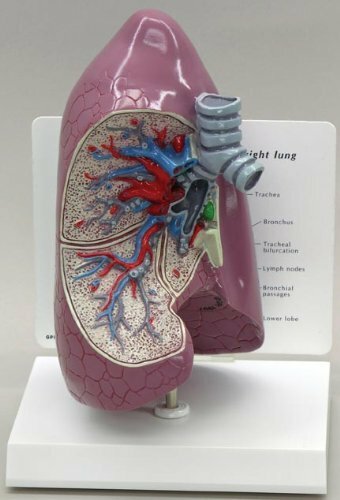 The model has removable lungs, heart, liver, stomach, and intestines for hands-on learning, and is hand painted for realistic presentation. The product is available in two sizes for versatile use, and has a color key for reference.Science education products incorporate applied math and science principles into classroom and homeschool-based projects. Teachers in pre-K, elementary, and secondary classrooms use science education kits and products alongside science, technology, engineering, and math (STEM) curriculum to demonstrate STEM concepts and real-world applications through hands-on activities. Science education projects include a broad range of activities, such as practical experiments in engineering, aeronautics, robotics, energy, chemistry, physics, biology, and geology.American Educational Products, LLC, manufactures and supplies classroom materials and teaching tools for science and math education, as well as early childhood and active play products. The company, founded in 1986, is based in Fort Collins, CO. 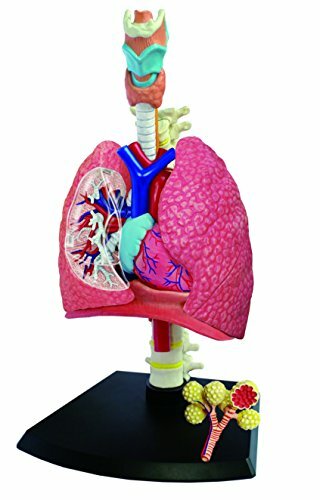 This model is used as a visual aid for medical colleges to explain courses in human anatomy, thoracic surgery and internal medicine. The segmentation of the left and right lungs is shown, with eight segments of the left lung and ten segments of the right lung. The distribution of the bronchial tree can be observed from the transparent lung crust. 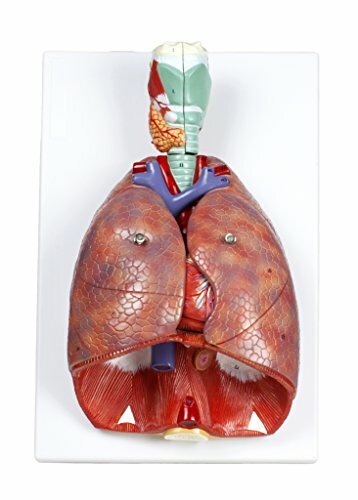 The lung shape of this model is made of transparent plastic, and the trachea and bronchial tree are made of plastic. 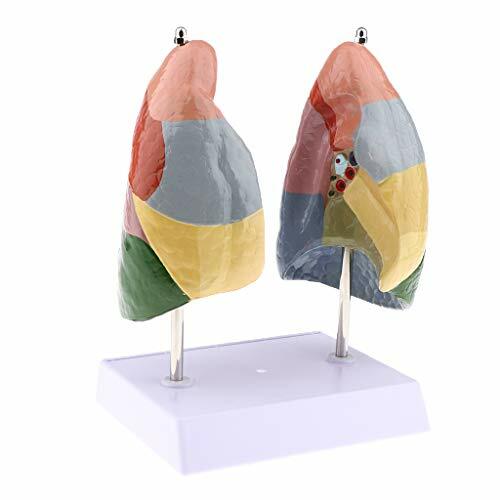 2 times magnification Dimensions with base: 28 x 15x 34 cm Gross weight: 1.1 kg SHOWING this twice-life size model presents 10 segments in the right lung (3 in the upper lobe, 2 in the middle lobe, and 5 in the lower lobe) and 8 in the left lung (4 in the upper lobe, and 4 in the lower lobe). 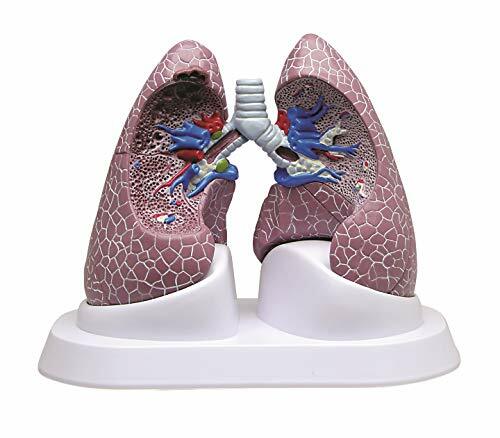 The distribution of the case can be observed from the transparent distribution of lung bronchial tree, left bronchus and right bronchus. 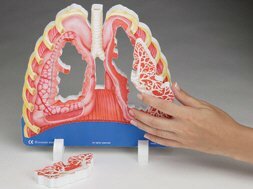 Full -sized 2-sided model of two separate lungs with 4 cutaway sections illustrating normal anatomy and the effects of COPD (Chronic Obstructive Pulmonary Disease), Cancer and asthma. Ideal for clinical display and consumer education. 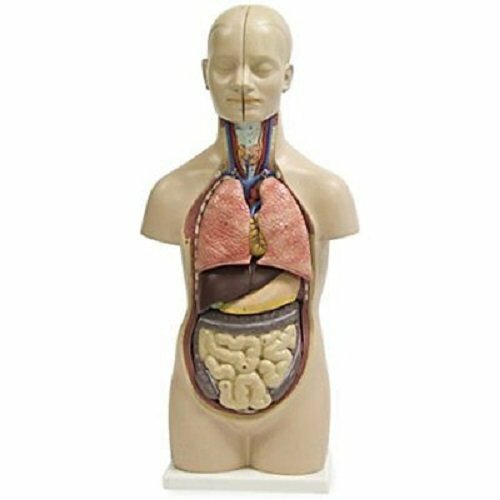 Model Size: Each 4 1/4" x 5 1/2" x 8 1/4"
This 17 part sexless life size human torso is appropriate for use in any classroom. This classic torso shows the major body systems in detail. The head is opened, exposing one half of the brain and the neck is dissected to show muscular, glandular, vascular and neural structures. The thorax and abdomen are removable allowing easy observation of the internal organs. while the back is opened and dissected showing the vertebral column, spinal cord and nerve endings. Further examination of the spinal cord is also possible with the removal of one of the thoracic vertebrae. 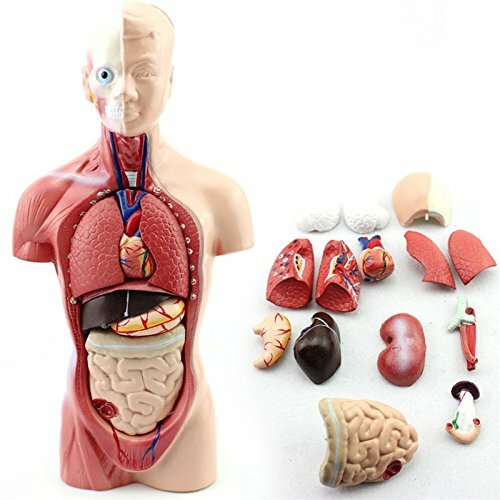 17 Removable Parts include the ollowing:Cerebellum Left Lung with RibRight Lung with Rib Heart (2 parts) Liver Stomach (2 parts)Half Kidney Half Bladder 7th Thoracic Vertebrae Intestine Colon with Pancreas Removable Transverse Colon Cecum Cover Dimensions: 13"x 10"x 34"(33 x 26 x 87cm). 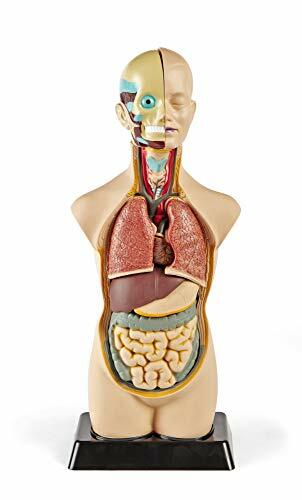 This tabletop, gender-neutral torso model can be used for hands-on human anatomy instruction. Torso is 19"/50cm tall, durable, and is mounted on a sturdy base. This torso shows the major body systems and many anatomical features are numbered, which can be identified using the included key card. 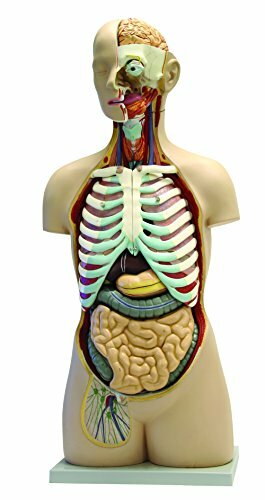 Torso has removable parts including- head (2 parts), ½ of the brain, lungs, heart (2 parts), stomach, liver, intestines, and cecum cover. 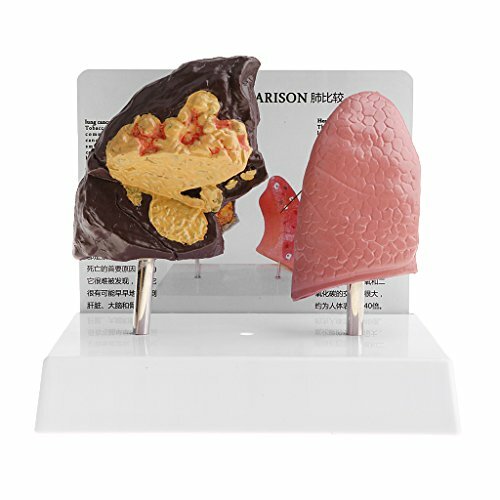 Human anatomy science models are used by teachers, students, and homeschoolers for educational and research applications in life science, math, and for a variety of additional disciplines. Science education products and manipulatives incorporate applied math and science principles into classroom or homeschool projects. Teachers in pre-K, elementary, and secondary classrooms use science education kits, manipualtives, and products alongside science, technology, engineering, and math (STEM) curriculum to demonstrate STEM concepts and real-world applications through hands-on activities. Science education projects include a broad range of activities, such as practical experiments in engineering, aeronautics, robotics, chemistry, physics, biology, and geology. This incredible mini-torso from Axis Scientific will be a perfect addition to your studies. The torso is just 17 inches tall, but it packs an incredible amount of detail in this small package. 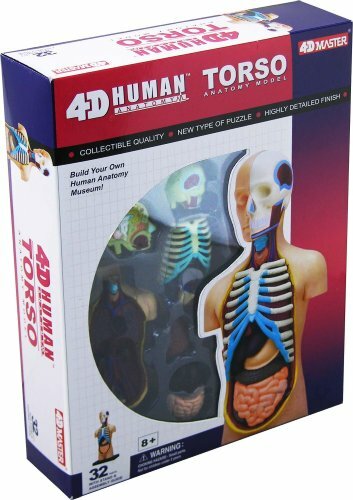 The torso features 16 parts, including removable lungs, heart, liver, stomach, intestines, and head. The head can be bisected, and one half of the brain can be removed as well. In addition, 2 genital inserts are included, male and female, each crafted to exceptional detail.Each of the parts is meticulously crafted to display all major anatomical features. The heart can be bisected, allowing for a clear view of the internal structures of the heart, and easily snaps back together. The lungs, stomach, liver, and intestine can be removed as well, and the caecum can be easily removed from the intestine for additional internal view. The torso utilizes a combination of easy to use hooks and hidden magnets to keep the torso together, making assembly a snap.Axis Scientific combines the best of anatomical education with great prices. We know you'll love the products from day one.Made by Axis Scientific and backed by a 3 year warranty. Measures 17x5x8 inches, and weighs 4.5 lbs. Parco Scientific PBM-B2 Elementary and High School Learning Package. 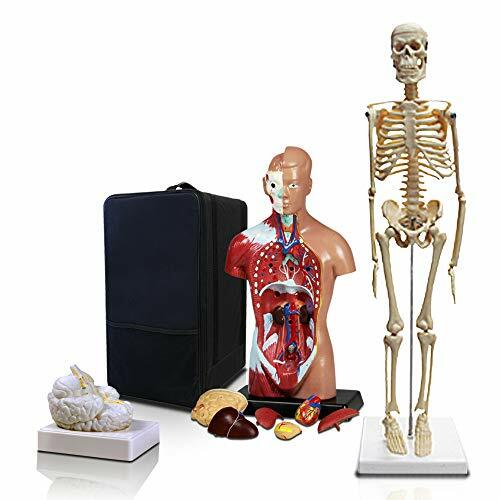 Set of Three Human Anatomy Models, Skeleton, Torso and Brain with Carrying Case. 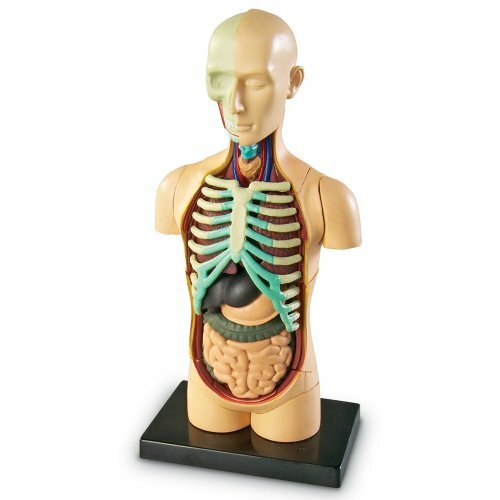 This tabletop torso model is a useful tool for teaching anatomy to elementary, high school and college aged students. 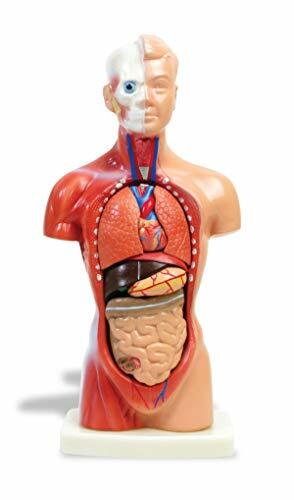 It measures 20" tall and comes with 12 removable parts including head, brain, lungs, stomach, heart, liver, intestines and cecum cover. There is a chart included which illustrates all of the numbered organs. A great hands on teaching tool. By Trademark Scientific. 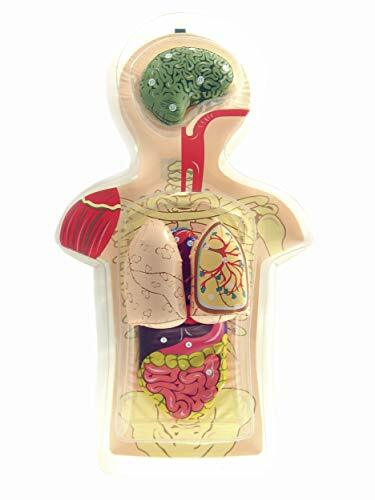 Description Item:human organ Model Material:PVC Size:App 28cm Parts:15parts. torso, brain(2Parts),heart, esophagus trachea and aorta, lung (4 parts), skull cap,stomach, diaphragm, liver, pancreas and spleen, intestine. Note: 1.The real color of the item may be slightly different from the pictures shown on website caused by many factors such as brightness of your monitor and light brightness. 2.Please allow slight deviation for the measurement data. 3.Please allow 1cm-2cm error due to the hand measurement . 3D Human Respiratory System Anatomical Nasal Cavity Throat Anatomy Model Paperweight(Laser Etched) in Crystal Glass Cube Science Gift (No Included LED Base)(3.1x2x2 inch)100% SATISFACTION AND MONEY BACK GUARANTE: Just try our products and if you don't absolutely love them let us know and we will refund your purchase price NO QUESTIONS ASKED! 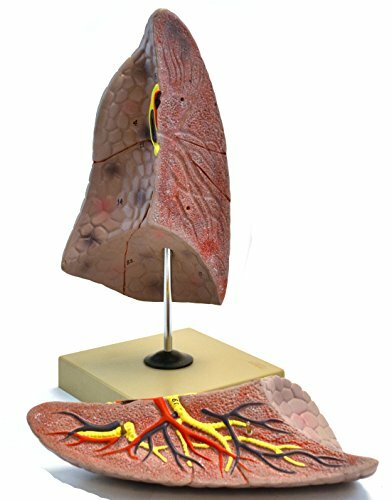 Compare prices on Human Lung Model at LiveSaler.com – use promo codes and coupons for best offers and deals. We work hard to get you amazing deals and collect all avail hot offers online and represent it in one place for the customers. Now our visitors can leverage benefits of big brands and heavy discounts available for that day and for famous brands. We try to makes comparison shopping easy with Product Reviews, Merchant Ratings, Deal Alerts & Coupons. Find Deals, Compare Prices, Read Reviews & Save Money.